Institut for Dansk Spiludvikling, The Institute for Danish Game Development is part of Dania Games, the first fully game oriented programming higher education in Denmark. It charts trends in digital game research and markets and provides analysis and tools freely available to the Danish digital game industry. The institute is located in Grenaa, Denmark. 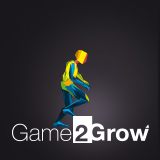 Game2Grow, The mission of Game2Grow is to collaborate with game developers, educational institutions, industry, teachers, students and researchers in order to design, develop, implement and distribute relevant game-enhanced learning tools and activities that supplement and support learning objectives and target the challenges in a variety of educations on all levels. Andreas Lieberoth Wadum, Aarhus University. Post Doctoral Researcher at HistorieLab, Interacting Minds Center and Game Psychologist, Center for Community Driven Research (CODER). Lasse Juel Larsen, University of Southern Denmark. mag.art and Ph.d., research assistant at Department for the Study of Culture and at the Faculty of Engineering including the interdisciplinary research and project oriented Social Technology Lab at University of Southern Denmark. Current research focus: game design, game development, computer game aesthetics, playful interactions (transmedia worlds, wearable’s), play and learning theory. Jeppe Bundsgaard, Aarhus University. Professor at Danish School of Education. Has developed several practice scaffolding interactive platforms (students simulating an editorial office, an advisory engeneering company etc.). His research is centering upon how computers can support (scaffold) students working in complex, collaborative projects. Mette Wichmand, Roskilde University, Denmark. Doctoral Student at the Department of Communication, Business and Information Technologies. Currently working on a project on how computer games can generate citizen driven social innovation. Sandy Louchart (Dr): Sandy is a Senior Research Fellow at the Digital Design Studio at the Glasgow School of Art (UK) and has been researching interactive storytelling since the early 2000s. His current focus is on the dynamic articulation of narrative content and the conceptualisation of the player from a storytelling perspective (role, activities and impact).